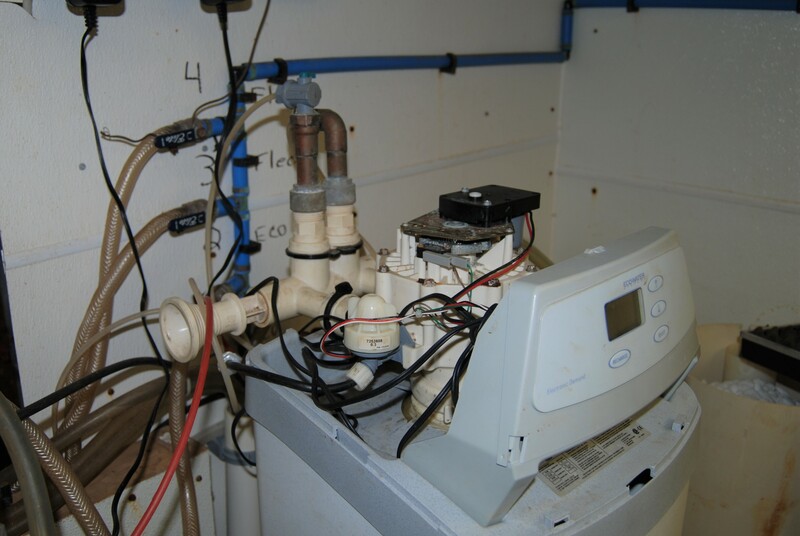 If your water softener needs repairs, were are here to help. Our technicians will diagnose and fix the problem and get your system up and running as soon as possible. Contact us as soon as possible so that our technicians can get to work on the problem right away. 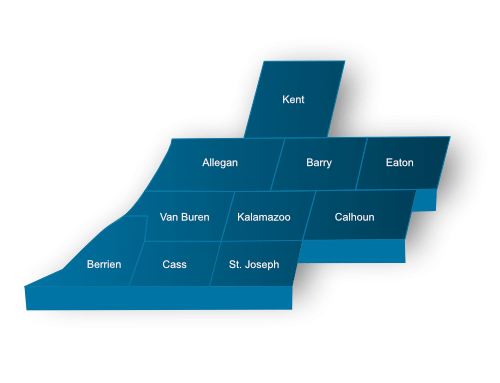 Whether you need salt by the bag, skid or truckload, we deliver according to your needs. 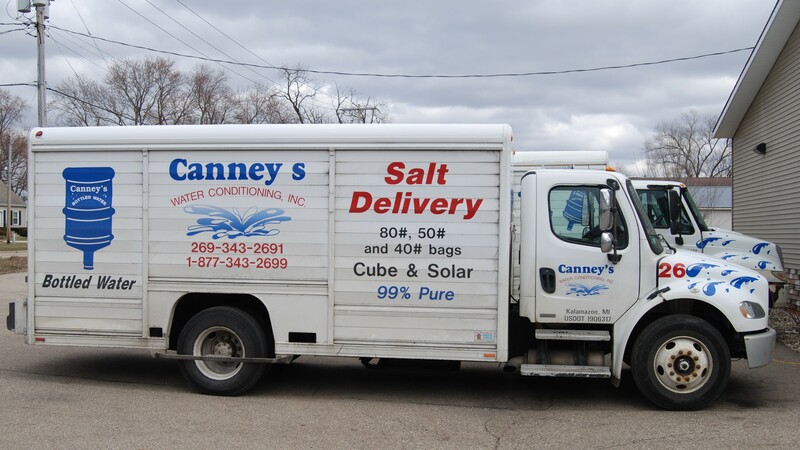 We’ll bring it every week, every month, every other month no matter how often you need salt delivered to your home or business, Canney’s Water Conditioning will take care of you. 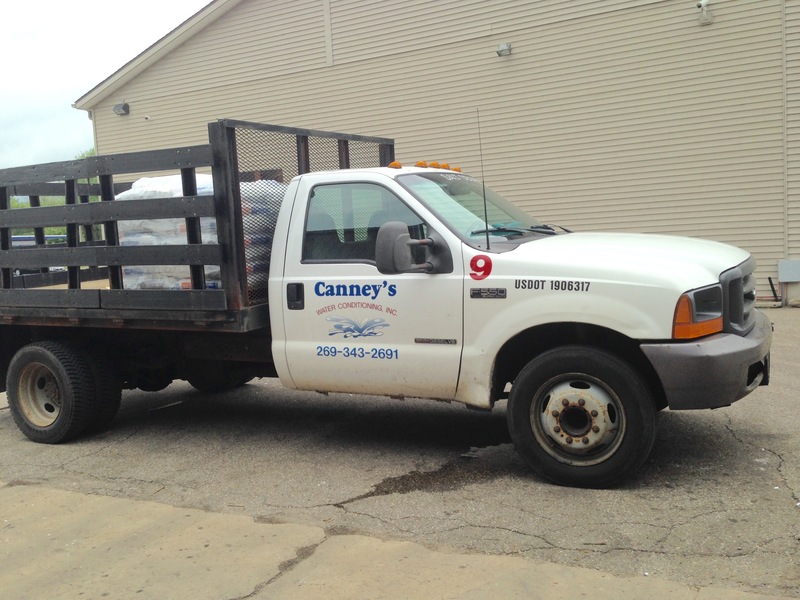 Water from Canney’s Water Conditioning can be delivered as often as needed, so that you never run short. We bottle our 5-gallon bottles here on site with our state of the art bottled water machine. Next to oxygen, water is the most important nutrient to maintain you body’s good health. Canney's Water Conditioning, Inc. offers an iron filtering service for pool fills. We deliver and set up iron filtering tanks to your pool side, filtering your water source, resulting in saved chemical costs and recovery time.